Tall buildings line the strip of sand known as Gulf Shores and Orange Beach, Alabama. Each has sweeping views and their slice of the beach. Turquoise Place is, in my opinion, the best of them all, offering the luxurious amenities you’d expect from a five-star hotel with the comforts of home you’d find in a condominium. From the moment you’re given your wristband, which serves as your room key, you’re sure to fall in love with the place. Condos come in three, four, and five bedroom suites. The rooms vary in size, but the one I was in had two large beds and a set of twins. 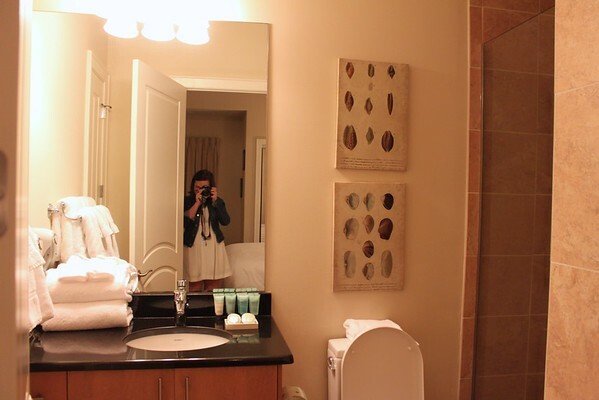 Each has its own bathroom and there’s even a half bath in the hall. 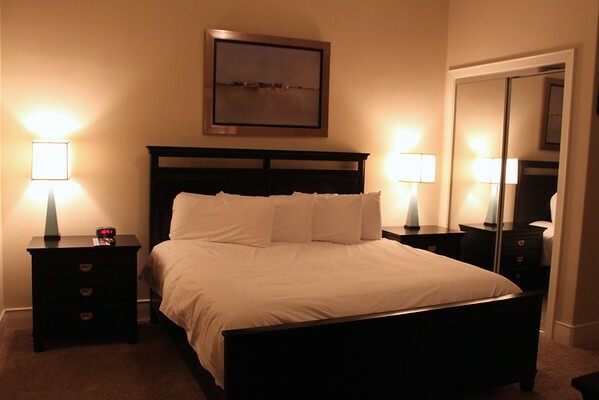 Beds have plush comforters and the rooms have closets, dressers, and flat screen televisions. The master suite has a walk-in closet and jacuzzi bathtub. One of the best amenities is the living quarters. 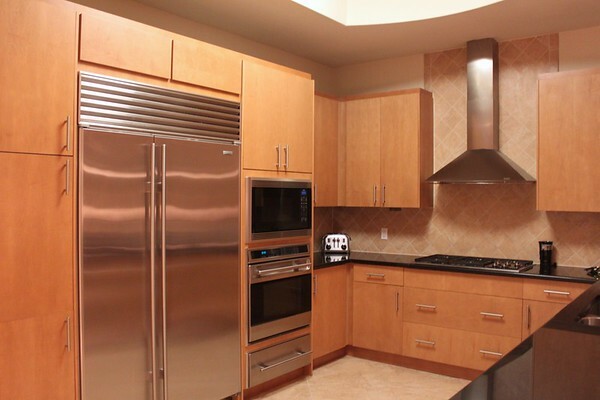 The kitchen is one even a chef would enjoy, complete with oven, stove, microwave, fridge, and appliances like a coffee maker and toaster. It’s easy to stock the place and cook all your meals in during your stay, even though there are some great dining options nearby. Between the kitchen and living room, there’s a small bar area with its own ice maker and wine fridge. Comfortable furnishings fill the living room, which has another television. And on the balcony, you’re met with views of the Gulf of Mexico. You could even spend your entire trip on the balcony, which has a grill, prep area, full tables and chairs, and hot tub. Life doesn’t get much better than this! Also on property are the pool, lazy river, and fitness center. 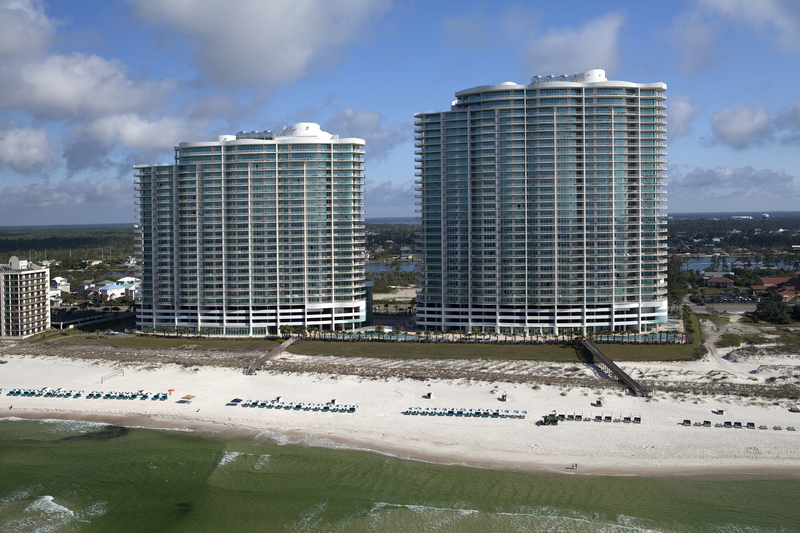 Turquoise Place is located at 26302 Perdido Beach Boulevard, Orange Beach, Alabama 36561. Rates start at around $300 per night for the three bedroom suites and go up from there. 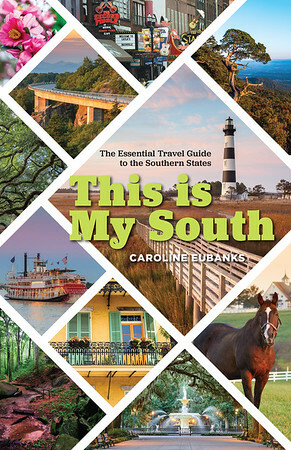 Book a room by calling (855) 741-7984 or visiting their website. Book your stay in Gulf Shores with our preferred partner. 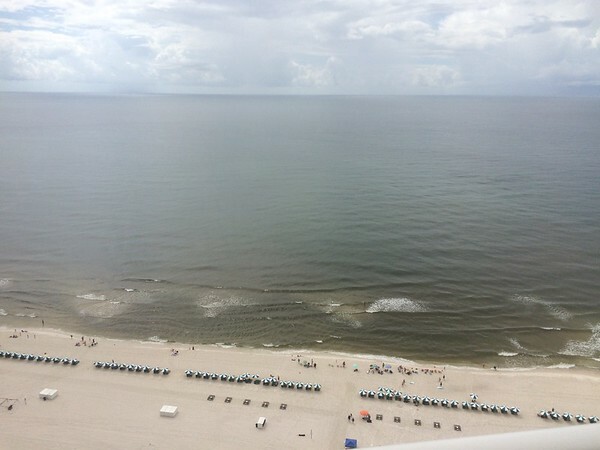 Our stay at Turquoise Place was organized by Visit Gulf Shores Orange Beach and Geiger Public Relations.